Your company certainly needs to increase its visibility and reach in the market. One of the ways that you can raise brand awareness is by asking your customers to write reviews about your products and services. It may not be possible to quickly receive reviews without soliciting them. 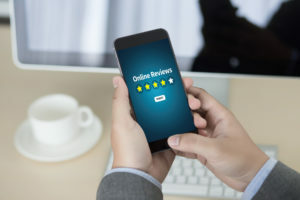 Understanding how to solicit reviews in a manner as to enjoy their advantages, while staying away from the potential problems that come with reviews is an important business trick. Your business can improve its visibility and branding if it receives new blood in the form of reviews that are genuine and present information. A solicited review always carries the risk of losing authenticity, if it is identified. However, if you solicit genuine reviews that promote the product, these reviews certainly have their importance and can provide the required information to the prospective clients. Solicited reviews can especially boost the local SEO of your business website. This allows your business to prominently appear when people search on the internet using the terms relevant to your business. You can also ensure that a set of solicited reviews cover each aspect of your products and services, and serves as a confidence-building tool for new clients. The problem is that you cannot control unsolicited reviews. They can bring in a lot of heat on your business, because angry customers are more likely to review you, rather than the happy ones. Selecting a top digital marketing agency can mean that you get access to solicited reviews that are original and are properly based on your products and services. You can ethically solicit excellent reviews if you help the reviewers. You can do this by creating your business presence on all top business review websites, such as LinkedIn, Yelp and Angie’s List. By allowing your reviews to go on multiple platforms, you ensure that your business reputation is enhanced and achieves great heights. The important point is to allow the reviewers to use a platform that they are comfortable with. As a business, it may be difficult for you to manage these detailed marketing activities. Formulating a partnership with a digital marketing agency will help you achieve the best performance out of solicited reviews. Solicited reviews are not the perfect tool for all demographics. However, if your product has some technical aspect, which may not be visible to common users, you can solicit reviews to ensure that useful information is available about your product. You can also ensure that new features in your products and services are preferentially highlighted by soliciting reviews. You should solicit reviews but allow the reviewers the freedom of speech. This means that the reviews should point out all the features that may be present, even if some of them may show a weak aspect of your product. Given that customers are aware of the use of fake reviews, and how a plethora of startling positive reviews is a red flag, this practice ensures that your reviews are genuine, and people can trust them to make informed decisions. If you need a marketing partner to help you understand and use solicited reviews, contact FORWARD Marketing at (773) 227-3269 today.